City's players reacted furiously when Villa were awarded a penalty early in the second half for a Jack Hunt foul on Connor Hourihane. 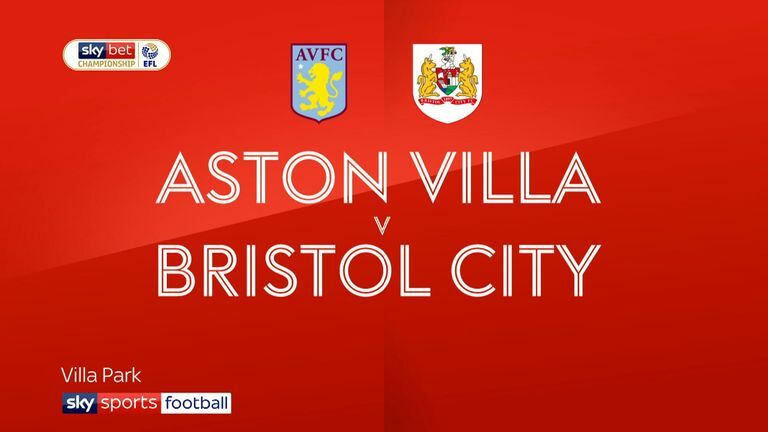 "Bristol City FC has been charged with a breach of FA Rule E20 following the EFL Championship fixture against Aston Villa on Saturday," said an FA statement released on Wednesday. "It is alleged the club failed to ensure its players conducted themselves in an orderly fashion during the 53rd minute." City are already facing a £5,000 fine having had six players booked during the game, and will face an even larger one if found guilty of the charge. The victory took fifth-place Villa four points clear of City, who are a position below them in the final play-off spot but have a game in hand on both Villa and seventh-placed Middlesbrough.